Written by Afsheen Sharifzadeh, a graduate of Tufts University focusing on Iran and the Caucasus. This article examines the maqām in the Baghdadi tradition, first paying attention to the origin of the repertoire and then focusing on the role of Baghdadi Jews in its evolution and propagation. In doing so, the authors proposes that Iraqi Jewish musicians played a capital role in the development of the standard Iraqi maqām style, and later served as “international agents” of the Iraqi repertoire–that is, as exponents of their host country’s musical heritage–in a fashion not dissimilar to the Sephardic Jewish financiers of Ottoman Istanbul and the Armenian silk merchants of Safavid Isfahan. They disseminated their tradition through contact with foreign musicians and absorbed foreign aspects into the Iraqi repertoire. Indeed this bi-directional model of musical appropriation carried into the Israeli and Indian diaspora communities. Iraqi Jews by Ezekiel’s tomb, Baghdad, 1932. Before 1948, Jews made up a burgeoning one-third of Baghdad’s population and had lived in Iraq for over 2,000 years. Today, there are less than 10 Jews left in the country. Except in Iraq, maqām has three levels of meaning: a degree of sound, a theoretical scale, and the modal organization of the Arab-Islamic area. In Iraq, the former three are known as nagham, while maqām is the main urban vocal repertoire. Currently the origin of the Iraqi maqām remains poorly characterized—while some contemporary Iraqi specialists posit that the repertoire dates back to the Abbasid era, (750-1258 A.D.), others believe that it may be a relatively new phenomenon dating back only four to six centuries. Nonetheless, I propose a development in an Iranian environment that may have reached its present state through cultural contact between Persian and Baghdadi Jews. In enumerating the underlying Iranian elements of the Iraqi maqām, we can count the following: the seven main modes or maqāmāt of the Iraqi Maqām are identical to those of the Persian āvāz or dastgāh repertoire; most of the maqāmāt have Persian names; and instruments such as the santūr and joza further suggest appropriation from an Iranian milieu. 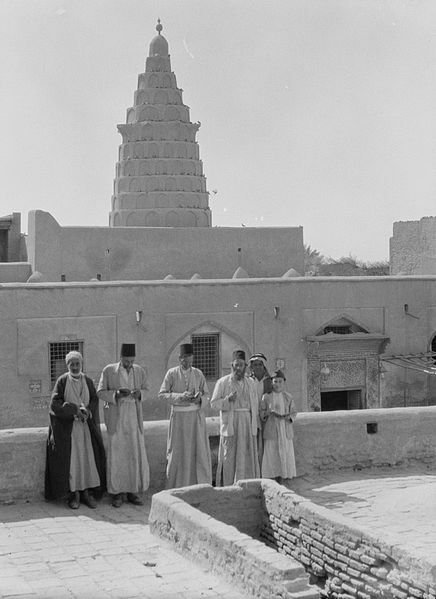 Many of the Iraqi maqāmāt sung with Classical verses are found in the Persian tradition as well, particularly the Mukhālif, Mansūrī, Dashtī, Awshār, Bakhtiyār, and Mathnawī. Another distinguishing trait of the Iraqi maqām among Arab musical repertoire is that each maqām has a distinct vocal introduction (badwa or tahrīr), the lyrics of which are usually in Persian: Sigāh has “Lilay, lilay…”; Rāst has “Yār, yār…”; Humāyūn and Dashtī have “Amān, amān…”; whereas Bayāt and Hijāz have “Faryād-e man…” (“Oh my wails” in Persian.) Thus conceivably, Iraqi musicians absorbed elements of Persian style through the performance of what Iraqi musicians have called “Persians songs”—although not the classical Persian repertoire. While it would be a futile exercise to attempt to ascribe these cultural transformations to a single musician or host throughout the centuries, it is important to note that Persia lost control of Baghdad in the 16th century and sporadically regained control until the 19th century. And while there has existed a minority Muslim Persian population within Baghdad for many centuries, the vast majority of Persian-speakers in that city have been Jews of Persian extraction with surnames such as Shīrāzī, Shahrabānī, Irānī, Bābāyī, Āghāsī, Lārī, ‘Ajamī, Āghā-Bābā and the like. Thus the role of Jews—many of whom lived intermittently between Iran and Iraq as traders, artisans and merchants—as agents in the propagation of these influences is probable if not imperative, as Jews were also traditionally disposed to musical professions in Persia. Indeed, in one episode contact between Iraqi Jewish musicians and a Persian professional musician even resulted in Iran’s adoption of the qānūn repertoire. Thus communication between Baghdadi Jewish musicians and their Persian coreligionists is a reasonable medium of musical acculturation between the two societies that still remains to be studied definitively. Nonetheless, the chālghī Baghdādī ensemble has traditionally performed at secular and religious occasions for Muslims, Jews, Christians, Mandaeans, and Yezidis in Iraq. The central instruments of the ensemble or al-chālghī al-baghdādī are the santūr, the al-kamāna [al-baghdādīyya], the joza, the daff, and the dumbag, while the ‘ūd, santūr, and nāy as well as Western Classical instruments such as the violin and cello are popularly considered to be later additions that were appropriated from either an Egyptian or Maslāwi Christian milieu. There exist some fifty individual maqāmāt and three regional traditions: namely, those of Baghdad, Mosul, and Kirkuk. While the Baghdadi repertoire is typically performed in Arabic, Persian, or Hebrew, the traditions of northern Iraq are most often in the regional Turkoman (South Azerbaijani), Neo-Aramaic, and Kurdish languages and are distinguished by incorporation of a number of regional instruments in addition to the standard chālghī Baghdādī ensemble. When performed in the Arabic language, the poem at the center of the lyric can take the form of mawwāl or zhayrī, which is colloquial or hybrid, or the qasīda which is strictly a monorhyme ode based on Classical Arabic prosidy. The former type of maqāmāt amounts to twenty-five, according to al-Wardī, while the latter includes forty-one. A maqām preformed in the Turkoman (South Azerbaijani) language of northern Iraq, particularly Kirkuk and Erbil. A standard Iraqi maqām begins with the badwa or tahrīr, which is the opening melody/main theme that is repeated throughout the maqām; qitā ‘ (sing. qita‘a) and awsal (sing. wusla), or secondary melodies, which form the building blocks of the composition; the meyāna, or climax, which is usually a qita‘a or a wusla sung in the high register; a small cadence known as a jelsa, which precedes the meyāna; a qarār, or a descent into the lower register; and the taslīm, which is the final, closing cadence that signals the end of the maqām and the coming pesteh (from Persian “baste” via Ottoman Turkish “beste”). Pestāt are in turn rhythmic songs with repetitive melodies that often contain simple, humorous, texts dealing with cotidian matters and various aspects of society. These, while not a part of the maqām repertoire, are popular, light-hearted urban songs typically in Arabic and Persian. As in most mashriqī Arab musical traditions, maqām singers (mughannīyūn or even mutribūn) have traditionally been Muslims, and many are reciters or chanters of the Qur’ān for Islamic rituals and ceremonies. They are rarely professionals. In Iraq, the singers have traditionally belonged to the Arab, Kurdish, and Turkoman ethnic communities and most often belong to the lower urban social classes of merchants and craftsmen. However, central to our discussion here is the curious fact that until 1950, almost all the instrumentalists of the Iraqi maqām (daggagāt, ālātīyya) were Jews. In explaining this phenomenon, a number of ethnomusicologists propose a class-based theory. Of course Islam has traditionally been unfavorably disposed towards music, so professional musicians have necessarily held low rank in society. Yet music has been an indispensable component of Muslim social life, so naturally a reasonable resolution was to regulate musical functions to ethnic minorities in order to preserve the cultural tradition in the face of opposing social and religious attitudes. Moreover, in explanation of this trend, scholars suggest that it is precisely musicians’ low rank that allows them to be enjoyed. As low-ranking persons they are a negligible element of society; they simply are not to be taken seriously as social beings deserving of interaction. As providers of a social service, their rank is assumed; therefore they can be admired solely for their musical product. Consistent with these societal attitudes, many musicians were blind or handicapped and were recruited by the Jewish vocational institute in Baghdad in the 20th century. However it should be noted that the majority of mughannīyūn or vocal performers of the maqām have been Muslims. Jews in turn attribute this to the Muslims’ “superior” pronunciation of Arabic, or at least concede that the Muslim dialect is the highbrow, prestige dialect of that city. A brief survey of the two dialects reveals considerable phonological, lexical, and morphological differences, even impairing mutual intelligibility in some instances. The outspoken differences between the Muslim, Jewish, and Christian dialects of Baghdad arise from conflicting origins: while the Muslim dialect is of Bedouin provenance, the latter two descend from Medieval Baghdadi Arabic which was a sedentary dialect with considerable Aramaic and Persian substrate. Furthermore, the Jewish dialect includes a sizeable inventory of Hebrew vocabulary that further distinguishes this mode of speech to linguists as “Judeo-Baghdadi”. Resultantly, Jewish maqām readers (qurrā’) were not appreciated due to their outspoken “Jewishness” which manifested itself in their peculiar mode of speech. It was only in the form of vocalists such as Salīma Murād–a Jewish qāri’a who converted to Islam and displayed a marked attempt in her songs to imitate the Muslim Baghdadi dialect—that Jews could be universally appreciated and she in turn became one of the most famous mughannīyūn of the 20th century. As the preferred musical performers of Baghdad, Jews served as domestic and international flag-bearers of the Baghdadi maqām repertoire. Jews had to become familiar with widespread musical systems— the chālghī baghdādī, rīfī folk songs, abūdhiyya poetry with rabāb accompaniment as well as synagogue repertoire in the maqām system. Due to their knowledge and mastery of Muslim repertoire, Jewish instrumentalists and qāris were hired to sing for Muslim holiday services, such as Ramadan evening parties and radio-broadcasts during the holy month. As a result of Jewish hegemony in the Iraqi music industry by the early-mid 20th century, many Muslims were not satisfied as there was virtually no music to be enjoyed during Jewish holidays. An attempt was even made in 1936 to close down the broadcasting station’s music program that was directed by Jews until Muslims learned to play Iraqi music, although after several months the Iraqi officials ceded control back to Jewish musicians in defeat. As agents of the a diverse range of repertoires, the Jews were successful in soliciting acclaimed Muslim vocalists such as Rashīd al-Qundarchī and ‘Abdallah Fāris to sing in the Judeo-Baghdadi Arabic as an ode of appreciation to the Jewish pioneers of the Iraqi maqām. In sum, Jewish masters of the maqām became highly-regarded musicians in Baghdad and exerted their influence over their Muslim counterparts. However the influence of Baghdadi Jewish musicians was not limited to the urban centers of Iraq. 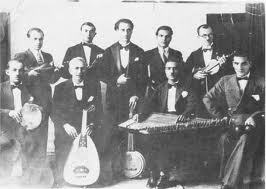 Indeed, Iraqi Jewish musicians as members of a diaspora served as “international agents” in a similar fashion to the Sephardic Jews of Ottoman Istanbul and the Armenian community of Safavid Isfahan by disseminating their tradition through contact with foreign musicians and absorbing foreign aspects into Iraqi repertoire throughout the 20th century. They were responsible for introducing foreign elements unfamiliar to their society due to close ties with foreign musicians, primarily Egyptian. For example, the violin was probably adopted from Egypt under the influence of Ezra Aharon, a Baghdadi Jew who was an outspoken proponent of Egyptian musical trends. This very Ezra Aharon traveled with Iraqi Jewish music delegation, which was led by the acclaimed Iraqi musician Muhammad al-Gubbānchī, to the Congress of Arab Music held in Cairo in 1932. After emigrating to Israel following the Farhūd persecutions of 1950, he is known for fashioning his Iraqi radio ensemble to follow the Egyptian mainstream style. But the influence felt between Iraqi and other Arab musicians was reciprocal, as Iraqi musicians were acclaimed masters of their art and thus served as points of reference for their Arab counterparts. For example the Jewish composer Salah al-Kuwaytī taught Umm Kulthūm a composition and taught Abd al-Wahhāb the maqām lāmi, which he later utilized in a composition. Within in Iraq itself, it so happened that Arabs unknowingly sang many traditional Jewish melodies whose Hebrew text had been changed to Arabic by Jews. Additionally, at least one maqām was recorded in Hebrew in 1920 and sporadically after that, indicating that there must have been some demand for Hebrew renditions of maqāmāt. But perhaps the most conspicuous vestige of Jewish hegemony in Iraqi maqām is observed in the badwa of maqām al-țāhir, which begins with the Hebrew word “Hallelujah.” Evidently Jewish Baghdadi musicians were able to exert their influence on their Muslim counterparts both inside and outside of Iraq, and they left a distinct Jewish imprint on the Iraqi maqām repertoire alongside loans from Egypt and the West. In conclusion, Iraqi Jewish musicians have played a capital role in the development of the standard Iraqi maqām style, and later served as “international agents” of the Iraqi repertoire–that is, as beneficiaries of their host country’s musical heritage–in a fashion not dissimilar to the Sephardic Jewish financiers of Ottoman Istanbul and the Armenian silk merchants of Safavid Isfahan. They disseminated their tradition through contact with foreign musicians and absorbed foreign aspects into Iraqi repertoire. While the Baghdadi Jewish diaspora in Israel has remained markedly more operative and prolific in the continuation of the Iraqi maqām tradition than its Indian and Javanese counterparts, it too struggles to define its identity in the face of an ever-homogenizing host society. With the emigration of all of the Jews of Iraq out of the country in the mid twentieth century and pressures towards assimilation in their host countries, the Iraqi maqām faces a difficult and defining future. Esther Warkov. “Revitalization of Iraqi-Jewish Instrumental Traditions in Israel: The Persistent Centrality of an Outsider Tradition.” Asian Music. University of Texas Press: Vol. 17, No. 2, Music in the Ethnic Communities of Israel (Spring – Summer, 1986), pp. 9-31. Gen’ichi Tsuge. “A note on the Iraqi Maqam.” Asian Music. University of Texas Press: Vol. 4, No. 1, Near East-Turkestan Issue (1972), pp. 59-66. Virginia Danielson; Scott Marcus; Dwight Reynolds. “The Iraqi Maqām and Its Transmission.” Garland Encyclopedia of Music. Routledge: Vol. 6 (Aug 2001) 1200 pp.